Crowborough station is on the list. 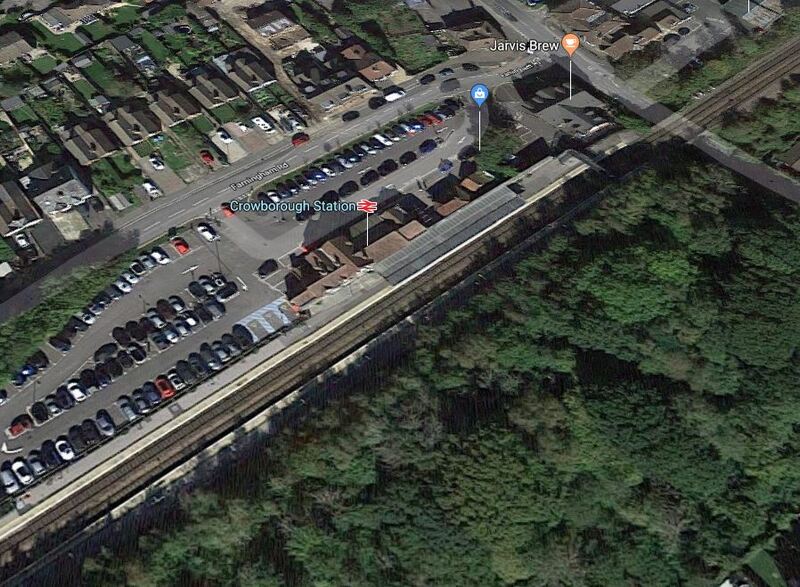 This Google Map shows the 3D image of the station. The current bridge is in the North East corner of the map. The platforms were lengthened and refurbished in 2016 to accept ten-car trains. Crowborough would appear to be a typical well-build ant managed coutry station. In Winner Announced In The Network Rail Footbridge Design Ideas Competition, I wrote how the competition was won by this bridge. 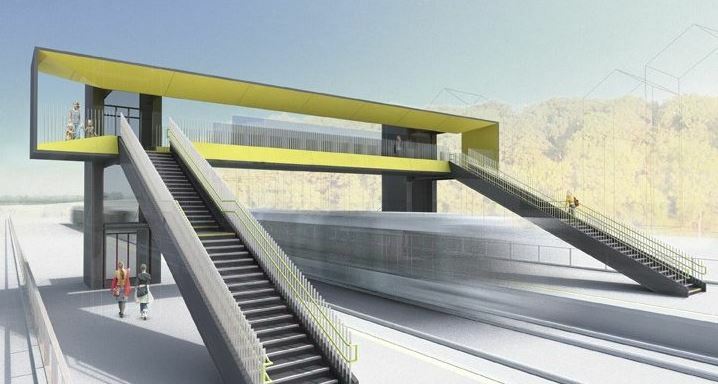 I think there are three options for using a factory-built bridge like this at Crowborough station. The new bridge replaces the existing bridge. A new bridge is placed in a different position and the old one is demolished. A new bridge is built in addition to the current bridge. In my view, if the condition of the old bridge is good enough, the third option is preferable.